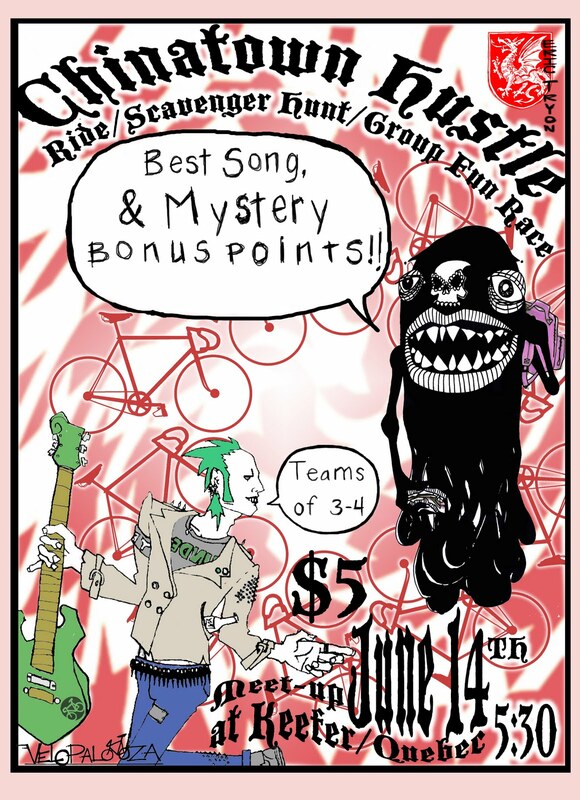 Linnaea, Emily, and Carrie are running the Chinatown Hustle at 5:30 on Tuesday June 14th. Get yourself a team, team costumes, and team throw down. 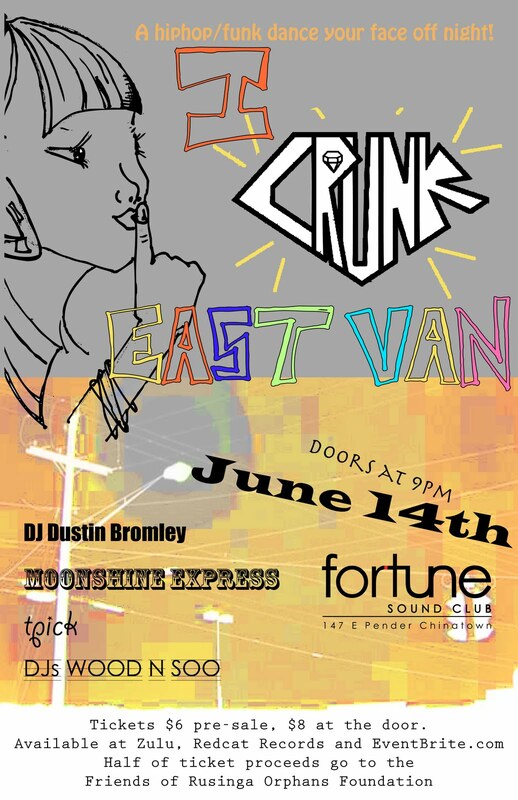 Race entry gets you into the I Crunk East Van show at Fortune Featuring the funk band Moonshine Express, DJ Dustin Bromley, DJ's Wood N Soo. Pre sale tickets can also be found in T-Pick's brightly colored messenger bag which was swag for 2nd at last weeks's WCU. Catch him if you can.